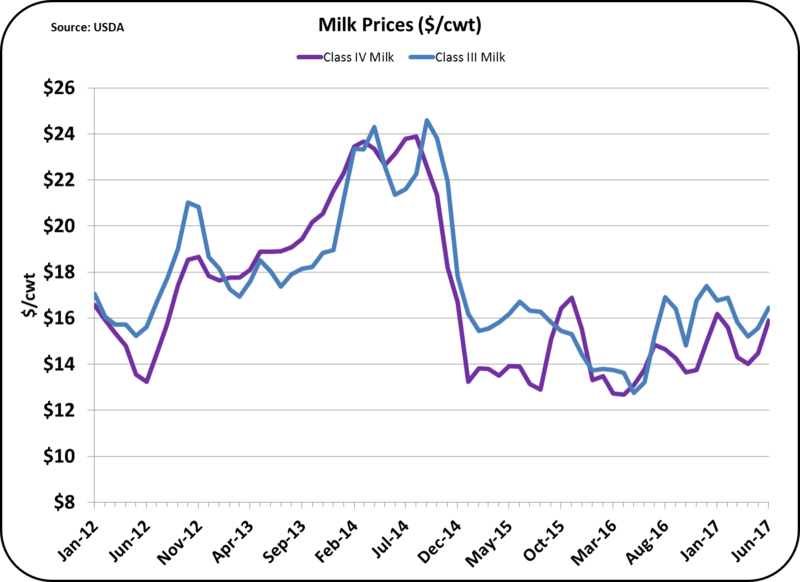 Class III milk and component prices for June were announced on June 28. Most all prices were up. The biggest increases were for butter and therefore butterfat. 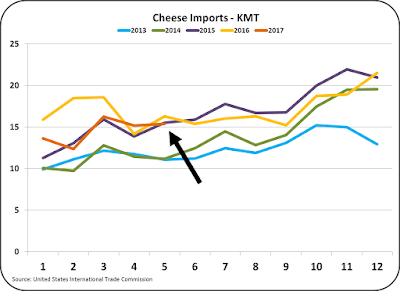 Cheese and NDM prices were also up appreciably. 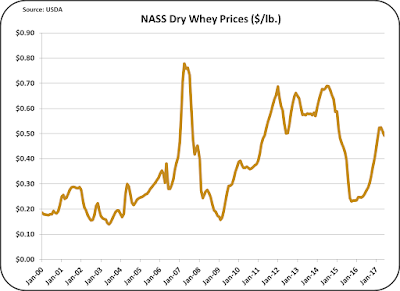 Dry whey prices which are used calculate the value of Other Solids was down. 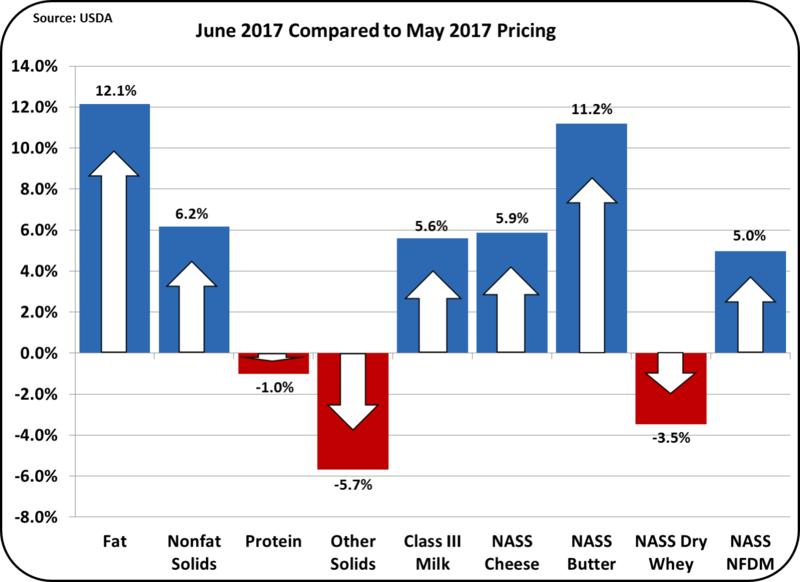 Milk protein was down slightly only because butter prices went up in value more than cheese prices. 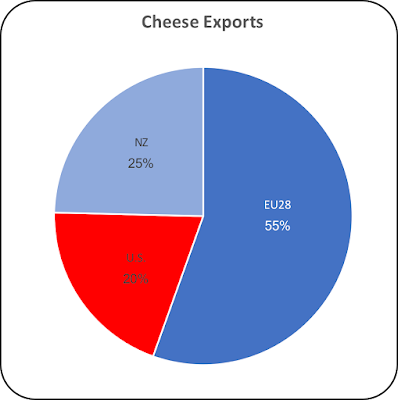 Milk protein pricing is calculated with the value of two commodities, cheese and butter. 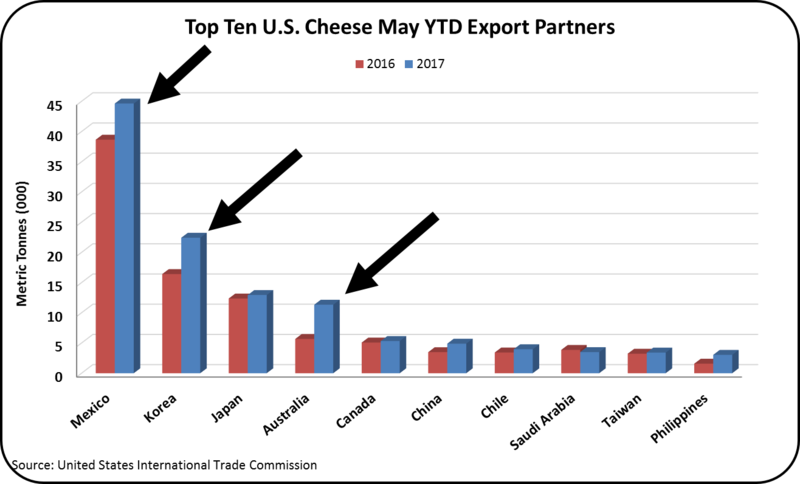 When cheese goes up, milk protein goes up and when butter goes up, milk protein goes down. See this prior post for a more in-depth analysis of this relationship. 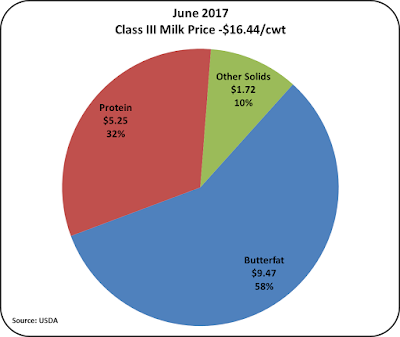 The big increase in the value of butter created a lopsided split of the component values that make up the Class III price (Chart II). Butterfat is now accounting for 58% of the Class III milk price when the standardized proportions of components are used. 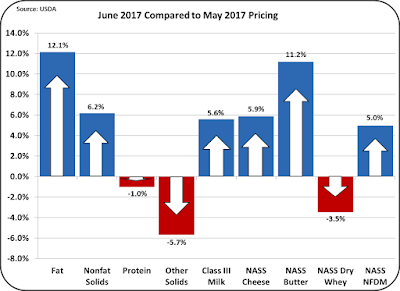 The Class III price announced is based on rounded component levels of 3% milk protein, 3.5% butterfat, and 5.7% other solids. While the standardized Class III price is primarily dependent on the price of cheese (see Chart III below), and is minimally impacted by the price of butter (see post on pricing), if additional butterfat can be produced by means such as nutrition, that would be a very valuable move for a milk producer. The remainder of this post will concentrate on the current relative pricing of the commodities used to price producer milk. 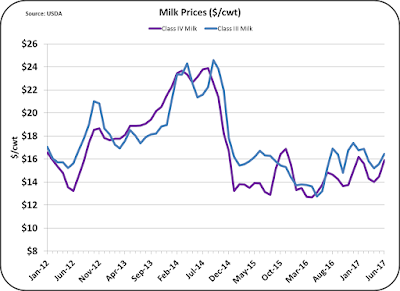 The current Class III price is $16.44/cwt. 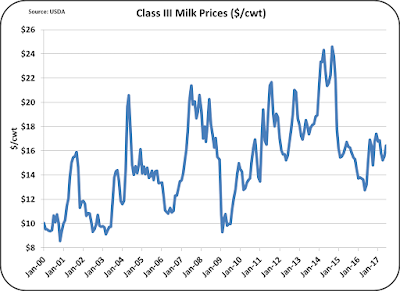 Chart IV below shows the Class III price since the beginning of the current dairy pricing model in January 2000. This June price is better than the prior month by 5.6%, but it is significantly lower than the record high price and well above the lowest price. The current price is a little below the average price of the latest five years. One could say that the current price is a little on the low side of average milk prices. If a producer's cost is such that there is no profit at the current pricing, they should consider exiting the dairy business. 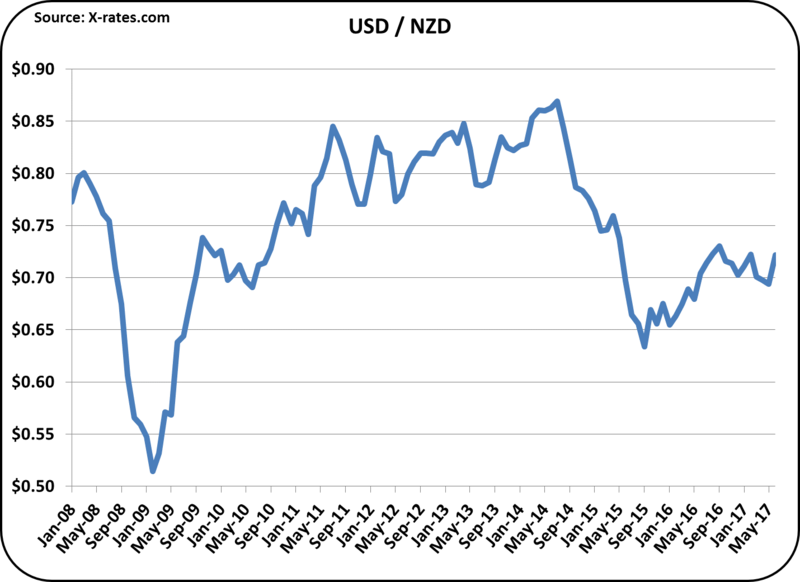 Feed costs are currently not abnormally high and any hopes of hanging on to make profits with higher priced milk would probably occur only temporarily and sporadically. 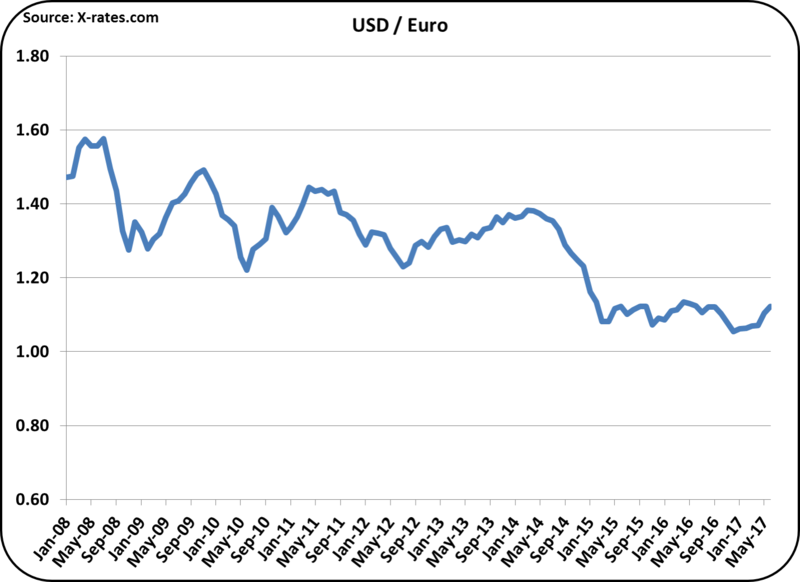 Only producers who can operate profitably at current prices can survive over the long-term. In the remainder of this post, prices of the commodities used to price components will be reviewed. In general, most of these commodities are at a medium price level. 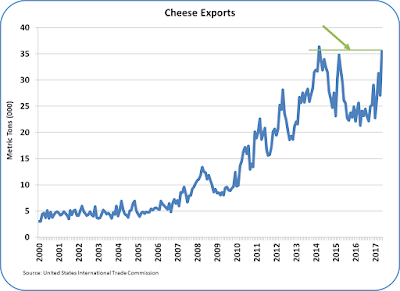 Cheese prices since 2000 are shown in the chart below. 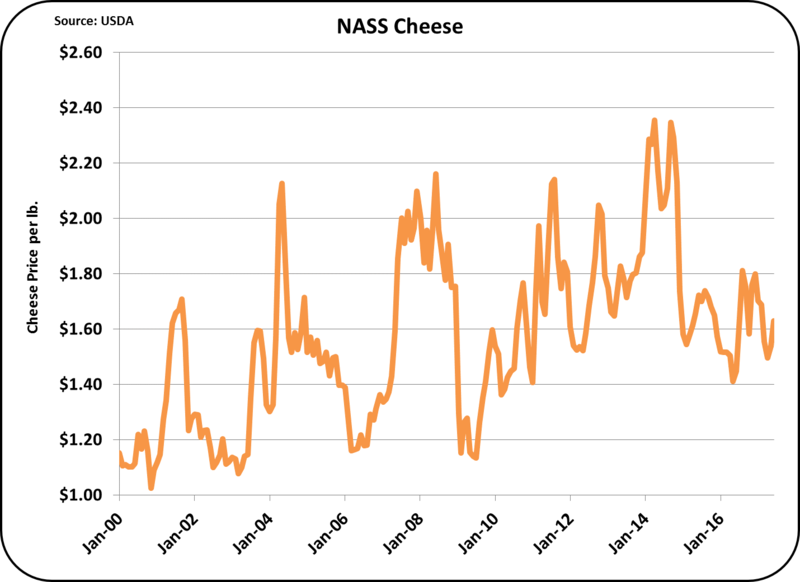 Just like the Class III pricing shown above, the current cheese price is roughly midway between the highs and lows since 2000. When reviewed over the last five years, the current pricing is well below average. 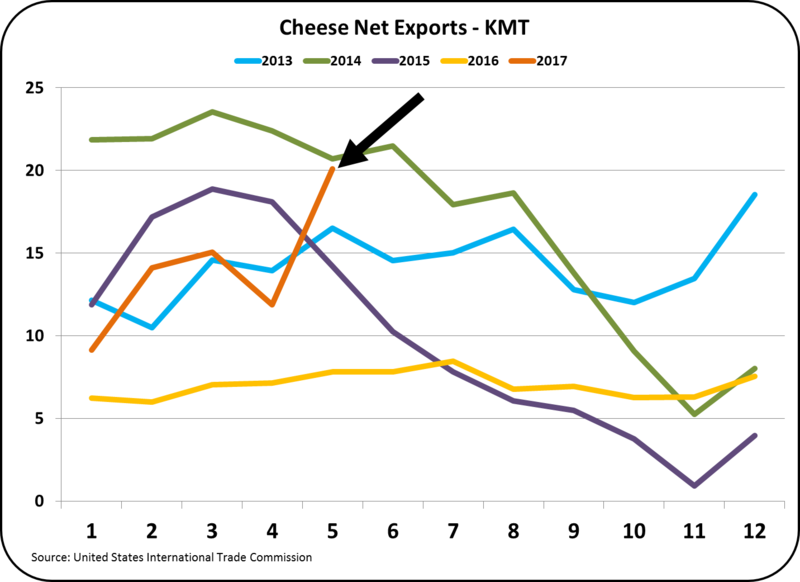 This should indicate that there is room for improvement in the price of cheese. The current prices are being held back by the high inventory levels shown in Chart VI. When excess milk is available, one convenient "parking space" is cheese. Currently cheese exports are not near prior levels (see prior post) and domestic consumption, although robust, cannot absorb all of the cheese being produced. 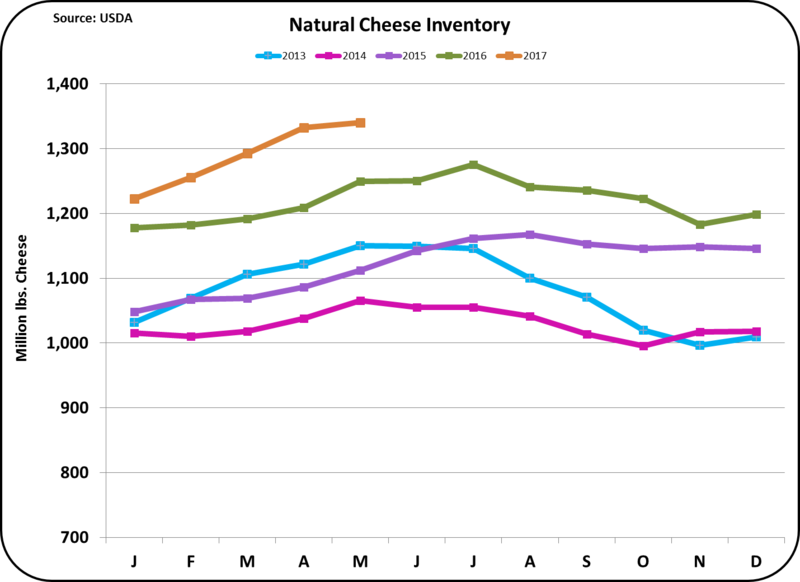 Excess inventories always mean lower prices. 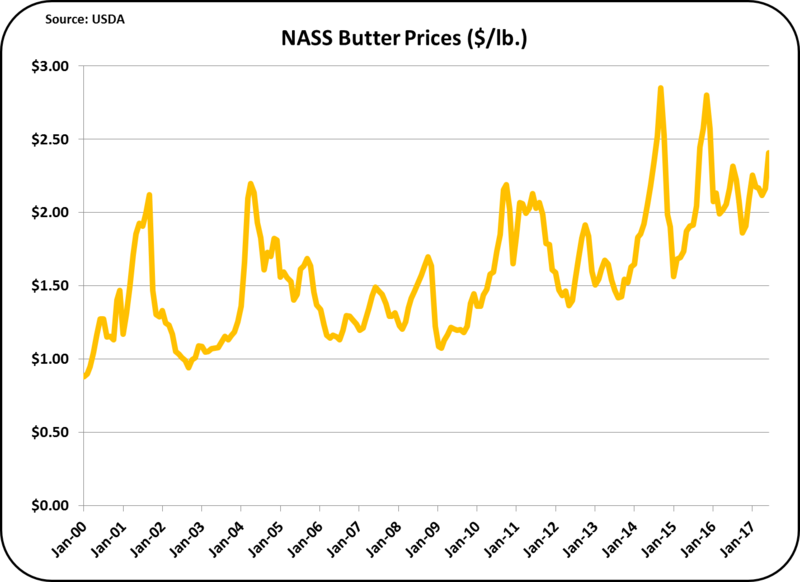 Butter prices are likely to remain well above historical levels for the remainder of 2017. 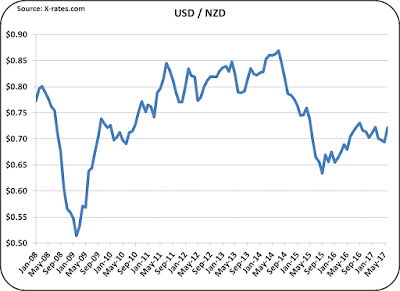 Whether this is a long-term trend, or a short-term development remains controversial. 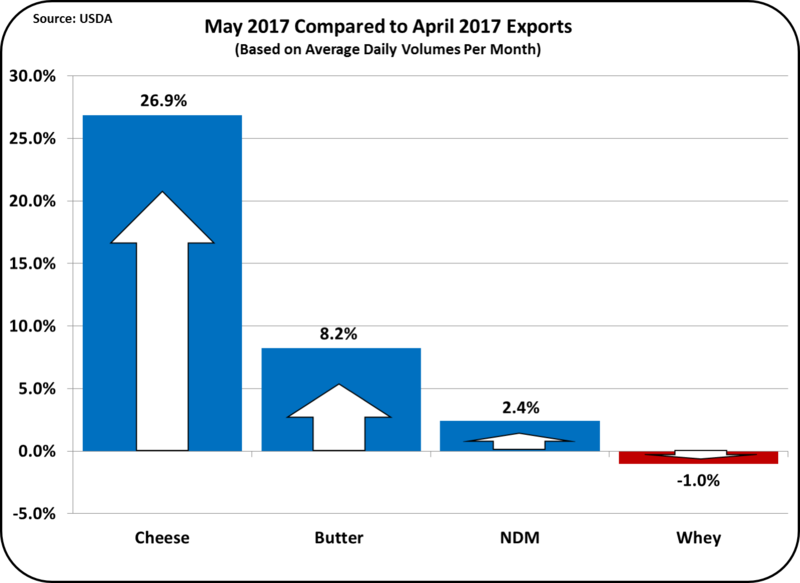 Domestic consumption of butter is increasing (see post on consumption rates) and production is down. 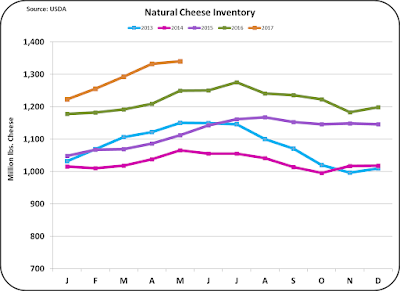 While imports are up significantly, inventory levels are still tight (see Chart VIII). 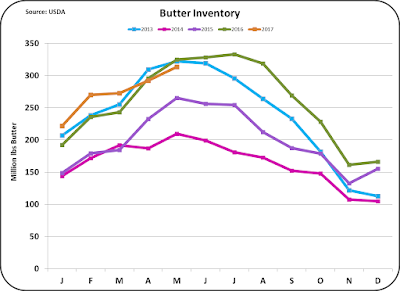 With tighter butter inventories come higher prices. 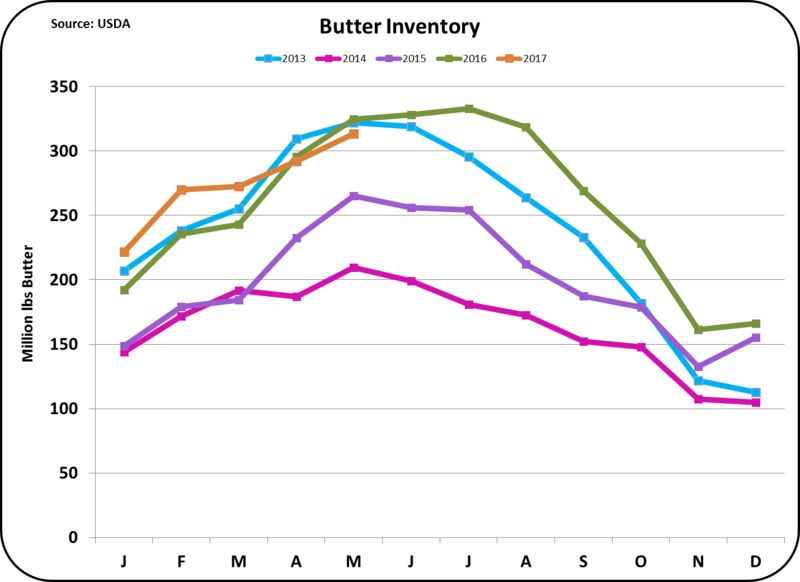 The current butter inventory is below prior year levels. 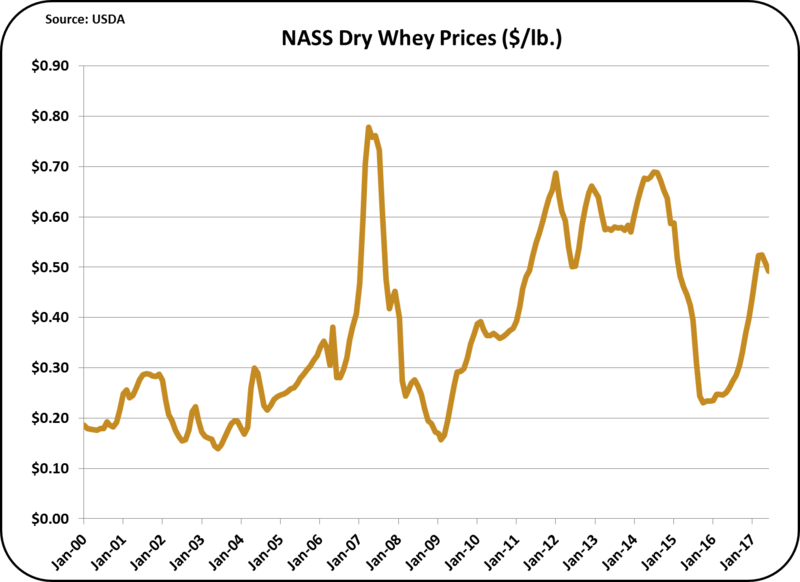 The price of Other Solids is based on the NASS value of dry whey. 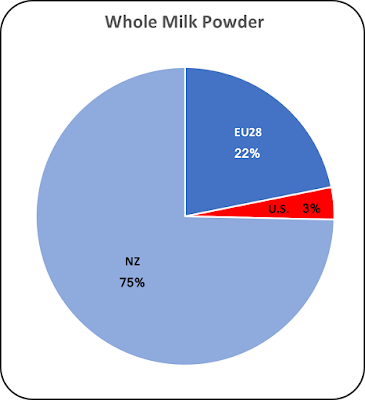 Because dry whey is an international product, the value is established by international supply and demand. 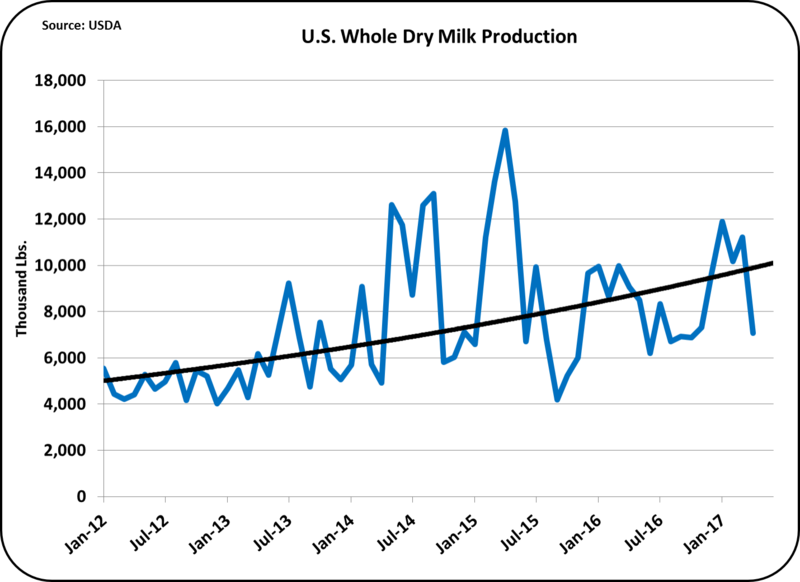 Dry whey prices, shown in Chart IX below, are above average and as a result Other Solids has reached a comfortable level of $.30/lb. 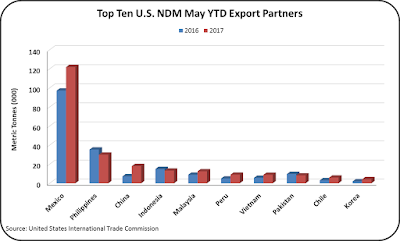 The price of Nonfat Dry Milk (NDM) is very dependent on the export market. 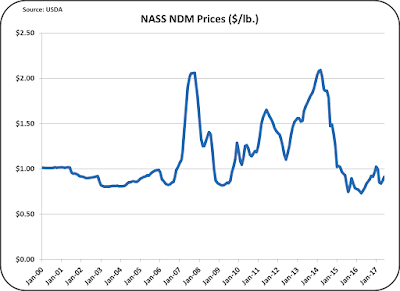 NDM prices have typically been around $1/lb. or less. 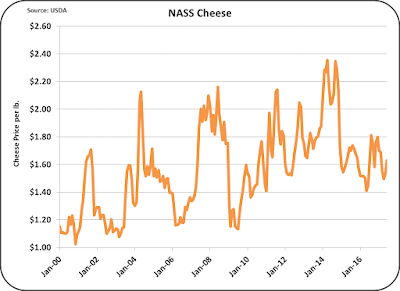 In the last 10 years there have been a number of spikes which have sent NDM milk prices surging. Currently, NDM carries a NASS price of. $.91/lb. 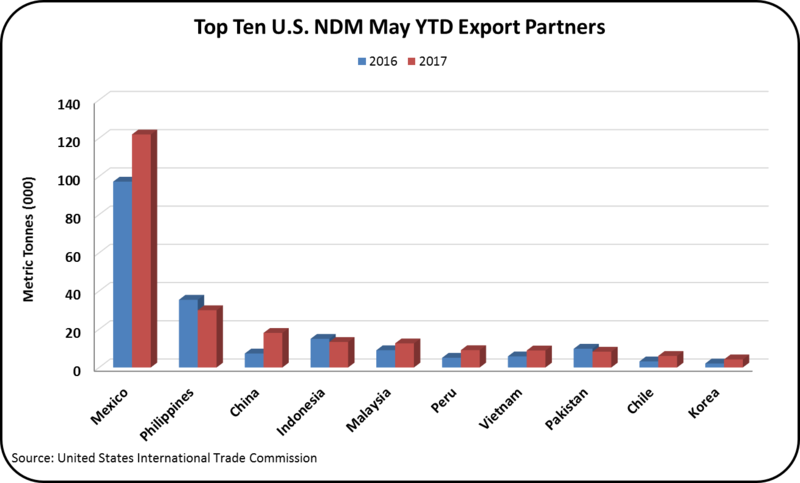 Like dry whey, NDM is priced based on international supply and demand. 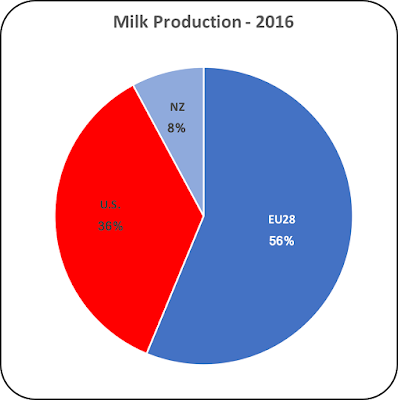 As more milk is skimmed for butter production, more skimmed Class IV milk is available. The domestic consumer market for skimmed milk is very small. Therefore the skimmed milk must be dried and sold internationally as NDM or skimmed milk powder (SMP). 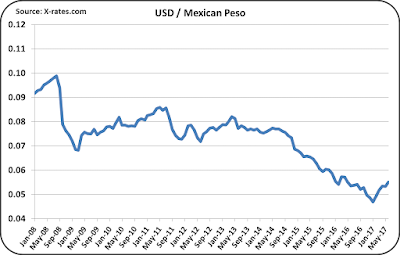 There is always a market for NDM/SMP but it is very price dependent. 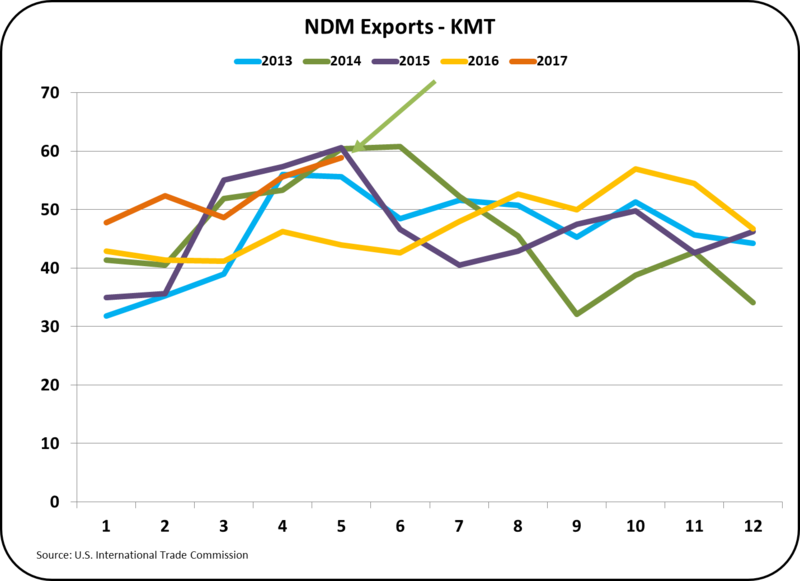 If domestic butter consumption continues to grow, more NDM will be available for export which may reduce prices further. 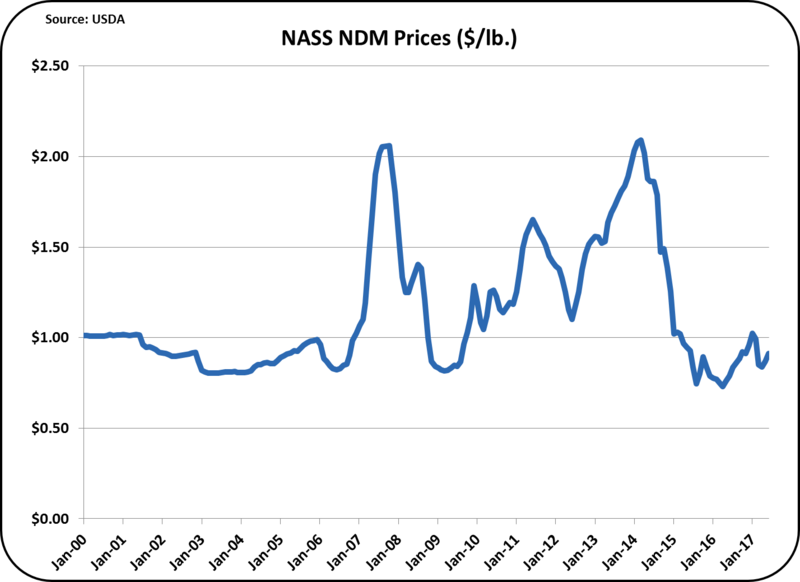 Currently NDM is near the historic low point for NDM prices. NDM is the basis for pricing Class IV skim milk. 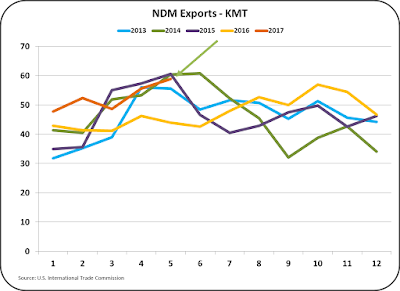 There is currently no reason to expect a shortage of NDM which would increase the price of NDM or Class IV milk. 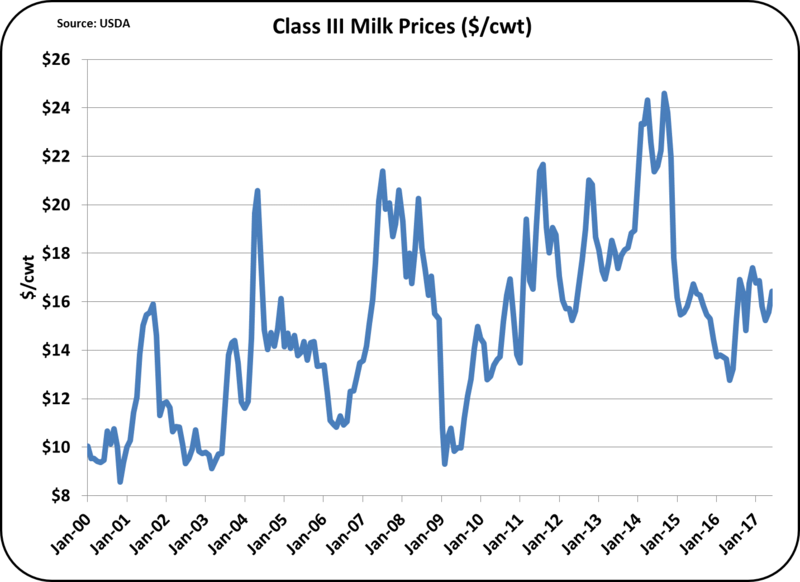 When the price of Class IV milk is above the Class III price, it becomes the basis for Class I milk pricing. 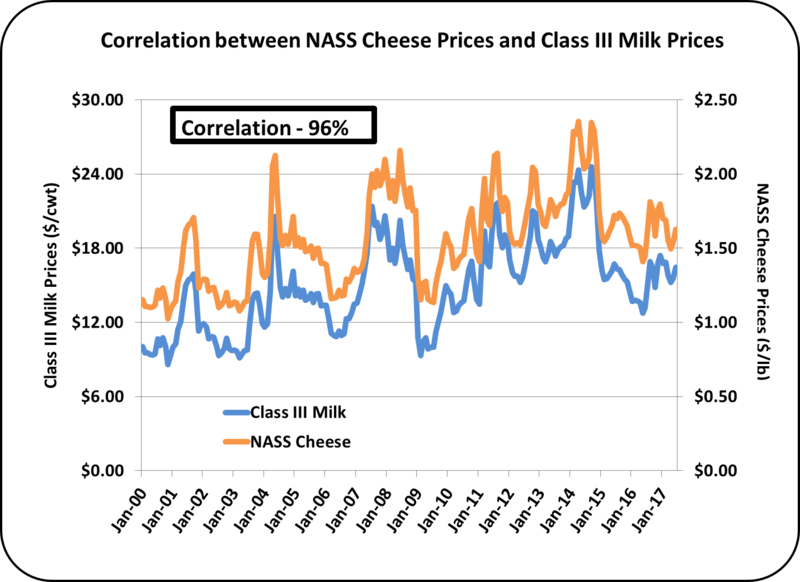 Based on the chart below of Class III and IV pricing, there is no history of the Class IV being consistently above the Class III price since 2013. 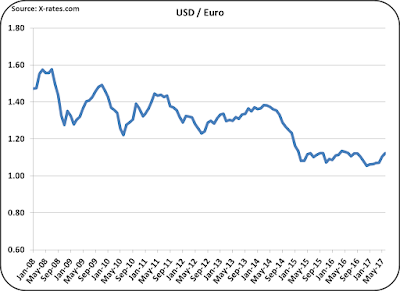 There is also no known international event that would drive the price of NDM to the highs seen in 2013. 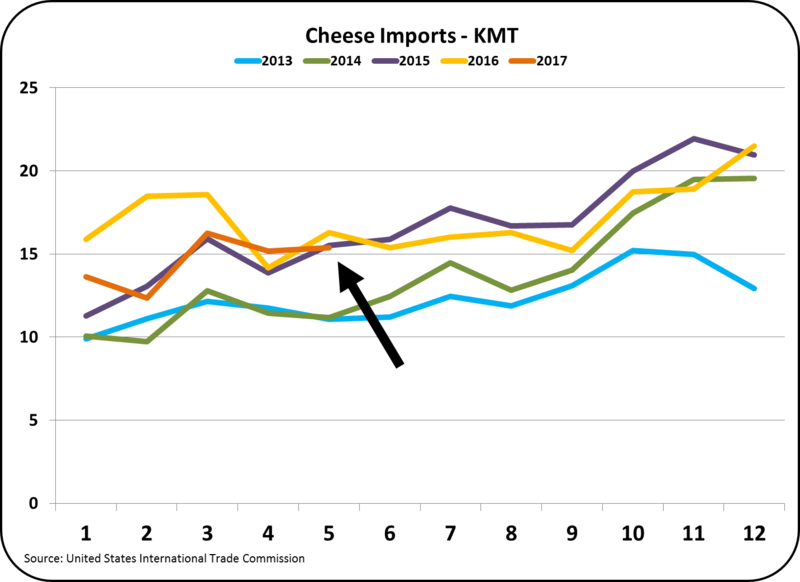 In summary, cheese and whey prices are at a middle of their historical prices. 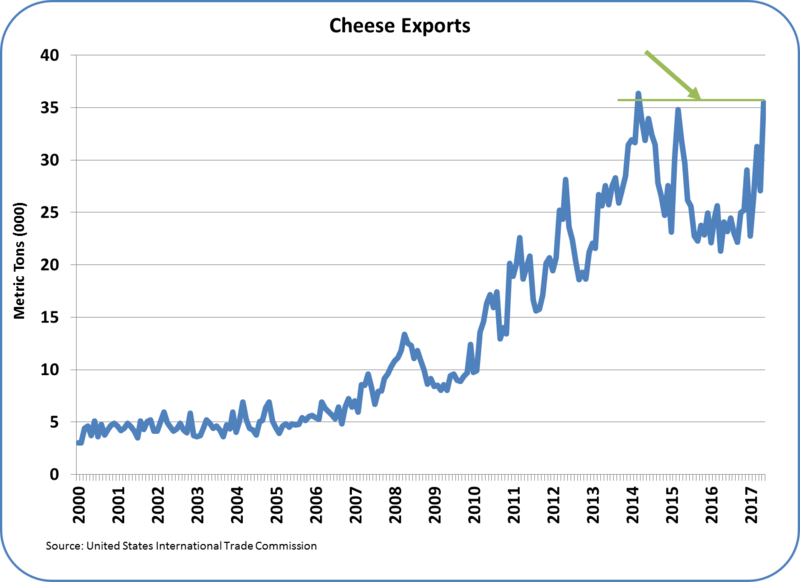 Only increased exports of cheese or reduced production will boost cheese prices. 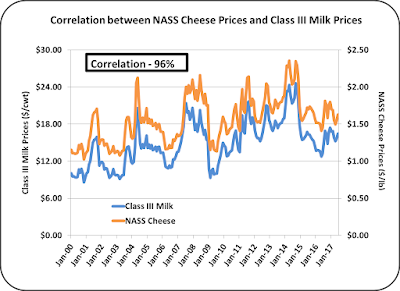 Cheese prices are the most important parameter for Class III milk prices. Butter prices remain very high. Butter production is limited and inventories are tight. 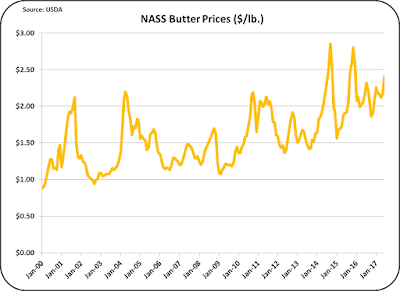 Only a decrease in domestic butter consumption or an increase in butter production will lower the price. Neither is likely. 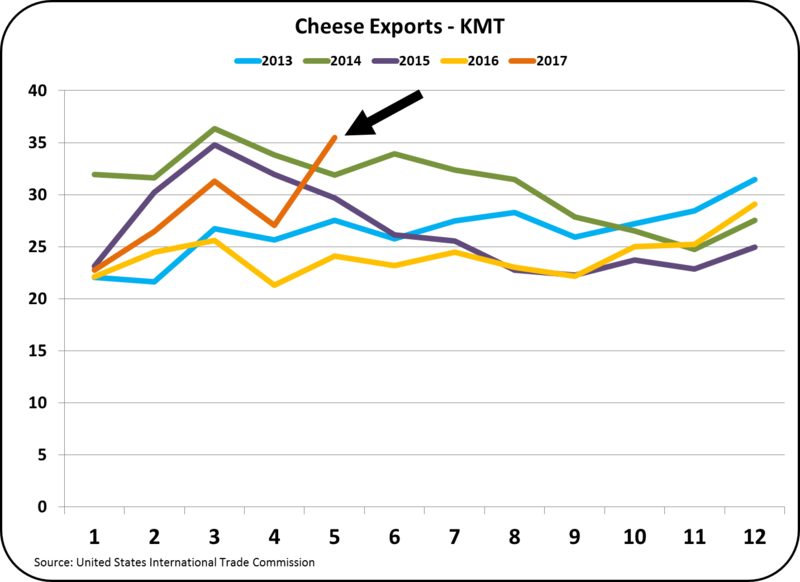 With continued high production of cheese and limited production of butter, butterfat prices will remain high and milk protein prices will remain near current levels. 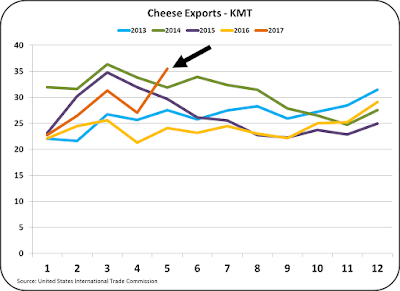 Dry whey prices will float with the international market and therefore are very speculative. 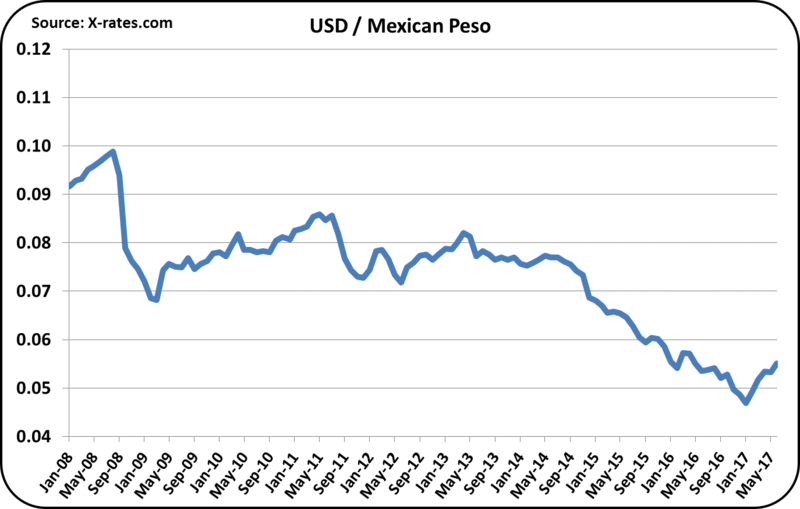 Therefore, Other Solids pricing will most likely remain near the current levels. 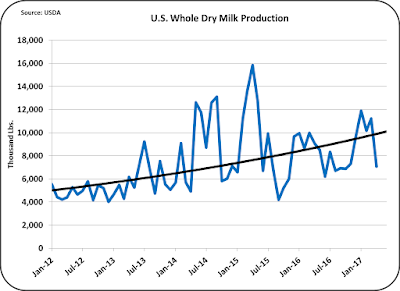 Nonfat dry milk will find a market at low prices and will probably not become a factor in overall dairy prices. The biggest mover on the horizon is the probable conversion of California to a Federal Milk Marketing Order. This will likely occur this year, but will not be implemented until early to mid 2018.